All the places, where you have used break before is example of unlabeled break, but once you use label with break you can terminate a particular loop in nested loop structure. In order to use labeled for loop, you first need to label each loop as OUTER or INNER, or whatever you want to call them. Then depending upon from which loop you want to exit, you can call break statement as shown in our example. By the way, there is a better way to do the same thing, by externalizing the code of nested loop into a method and using return statement for coming out of the loop. This improves readability of your algorithm by giving appropriate name to your logic. See Core Java Volume 1 - Fundamentals to learn more about how to use a label with break and continue statement in Java. There are two steps to break from nested loop, first part is labeling loop and second part is using labeled break. You must put your label before loop and you need a colon after the label as well. When you use that label after break, control will jump outside of the labeled loop. This means if you have 10 level of nested loop, you can break from all of them by just calling break and label of first loop. Similarly if you use labeled continue, it starts continuing from the labeled loop. This gives Java developer immense power, similar to what goto gives to C programmer, but label in Java is little different then goto. labeled break has no similarity with goto because it don't allow you to go on a particular line, all you go is outside the loop. labeled continue is little bit similar to goto because it goes to the loop again but not at any arbitrary point, since continue can only be used with loop, effect is limited to the loops only. By the way, In practice if you want to exit at any point inside an inner loop then you should better use return statement. For this you need to externalize the code into a method and then call it, now at any point you want to go out of the loop, just call return without any value. This will improve readability. 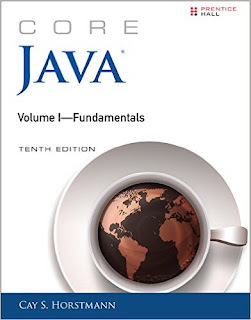 As I said before, you can also see Core Java Volume 1 - Fundamentals to learn more about how to use a label with break and continue statement in Java. Here is the sample code of breaking nested loop in Java. In this example, we just have two loops, OUTER and INNER. We are printing number in both the loop but once the product of two counters exceed 5, we break out from the outer loop. This makes program complete because we also come out of main method. In the next example, the same logic has been developed using a method and return statement called breakFromNestedLoop(), you can see that how much it improve the readability. So next time if you have to break out from nested loop consider using a method and return statement over labeled break statement. * statement with break statement to break from nested loop. * You can use return statement to return at any point from a method. That's all about how to break from nested loop in Java. You have seen that how you can use label with break statement to terminate the outer loop from inner loop, but you can do much better with encapsulating the loop in a method and then using return statement to break from nested loop. You can also use label with continue statement as well.